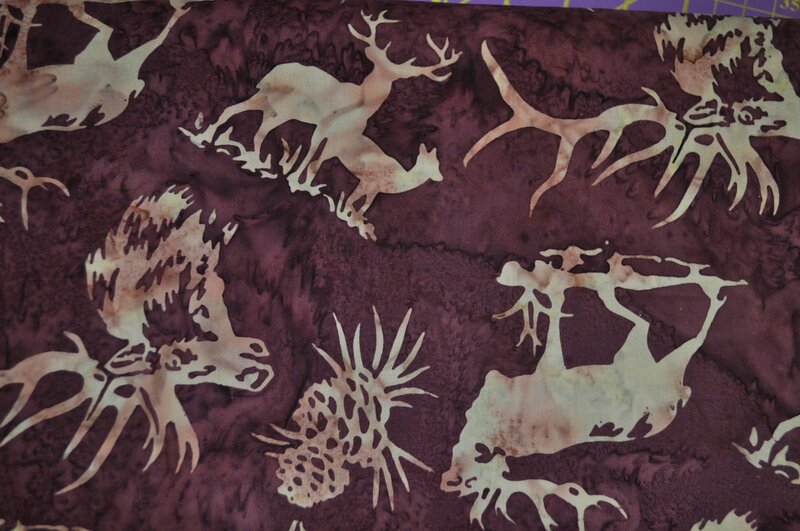 Mulberry background with cream and lighter tones Elk and and Pine cones design custom Bali Batik from Hoffman of California. 100% quality cotton batik. 43-44 wide.